Fish oil is oil derived from the tissues of oily fish. Fish oils contain the omega-3 fatty acids eicosapentaenoic acid (EPA) and docosahexaenoic acid (DHA), precursors of certain eicosanoids that are known to reduce inflammation in the body and improve hypertriglyceridemia. There has been a great deal of controversy in recent years about the role of fish oil in cardiovascular disease, with recent meta-analyses reaching different conclusions about its potential impact. The most promising evidence supports supplementation for prevention of cardiac death. Fish oil and omega-3 fatty acids have also been studied in a wide variety of other conditions such as clinical depression, anxiety, cancer, and macular degeneration, yet their benefit in these conditions has also not been verified. The fish used as sources do not actually produce omega-3 fatty acids, but instead accumulate them by consuming either microalgae or prey fish that have accumulated omega-3 fatty acids. Fatty predatory fish like sharks, swordfish, tilefish, and albacore tuna may be high in omega-3 fatty acids, but due to their position at the top of the food chain, these species may also accumulate toxic substances through biomagnification. For this reason, the United States Environmental Protection Agency recommends limiting consumption (especially for women of childbearing age) of certain (predatory) fish species (e.g. albacore tuna, shark, king mackerel, tilefish and swordfish) due to high levels of the toxic contaminant mercury. Dioxin, PCBs and chlordane are also present. Fish oil is used as a component in aquaculture feed. More than 50 percent of the world’s fish oil used in aquaculture feed is fed to farmed salmon. Marine and freshwater fish oil vary in contents of arachidonic acid, EPA and DHA. The various species range from lean to fatty and their oil content in the tissues has been shown to vary from 0.7% to 15.5%. They also differ in their effects on organ lipids. Studies have revealed that there is no relation between total fish intake or estimated omega−3 fatty acid intake from all fish, and serum omega−3 fatty acid concentrations. Only fatty fish intake, particularly salmonid, and estimated EPA + DHA intake from fatty fish has been observed to be significantly associated with increase in serum EPA + DHA. or for alleged insulation against cold. The most widely available dietary source of EPA and DHA is cold-water oily fish, such as salmon, herring, mackerel, anchovies, and sardines. Oils from these fish have a profile of around seven times as much omega-3 oils as omega-6 oils. Other oily fish, such as tuna, also contain omega-3 in somewhat lesser amounts. Although fish is a dietary source of omega-3 oils, fish do not synthesize them; they obtain them from the algae (microalgae in particular) or plankton in their diets. Grams of omega-3 fatty acids per 3oz (85g) serving of popular fish. Grams of omega-3 fatty acids per 3oz (85g) serving of common non-fish foods. In a 2009 letter on a pending revision to the Dietary Guidelines for Americans, the American Heart Association recommended 250–500 mg/day of EPA and DHA. The Guidelines were revised again for 2015-2020; included is a recommendation that adults consume at least eight ounces of a variety of types of fish per week, equating to at least 250 mg/day of EPA + DHA. The Food and Drug Administration recommends not exceeding 3 grams per day of EPA + DHA from all sources, with no more than 2 grams per day from dietary supplements. The effect of fish oil consumption on prostate cancer is controversial, as one study showed decreased risk with higher blood levels of DPA, whereas another reported increased risk of more aggressive prostate cancer with higher blood levels of combined EPA and DHA. Some evidence indicated an association between high blood levels of omega-3 fatty acids and an increased prostate cancer risk. There is also some evidence that fish oil may have a beneficial effect on certain abnormal heart rhythms. However, a 2012 meta-analysis found no such significant benefit. A 2008 meta-study by the Canadian Medical Association Journal found fish oil supplementation did not demonstrate any preventative benefit to cardiac patients with ventricular arrhythmias. A 2012 meta-analysis published in the Journal of the American Medical Association, covering 20 studies and 68,680 patients, found that Omega-3 Fatty Acid supplementation did not reduce the chance of death, cardiac death, heart attack or stroke. There have been some human trials that have concluded that consuming omega-3 fatty acids slightly reduces blood pressure (DHA could be more effective than EPA). It is important to note that because omega-3 fatty acids can increase the risk of bleeding, a qualified healthcare provider should be consulted before supplementing with fish oil. A 2008 Cochrane systematic review found that limited data is available. In the one eligible study, omega-3s were an effective adjunctive therapy for depressed but not manic symptoms in bipolar disorder. The authors found an “acute need” for more randomised controlled trials. A 2009 metastudy found that patients taking omega-3 supplements with a higher EPA:DHA ratio experienced fewer depressive symptoms. The studies provided evidence that EPA may be more efficacious than DHA in treating depression. However, this metastudy concluded that due to the identified limitations of the included studies, larger, randomized trials are needed to confirm these findings. A Cochrane meta-analysis published in June 2012 found no significant protective effect for cognitive decline for those aged 60 and over and who started taking fatty acids after this age. A co-author of the study said to Time, “Our analysis suggests that there is currently no evidence that omega-3 fatty acid supplements provide a benefit for memory or concentration in later life”. Some studies reported better psychomotor development at 30 months of age in infants whose mothers received fish oil supplements for the first four months of lactation. In addition, five-year-old children whose mothers received modest algae based docosahexaenoic acid supplementation for the first 4 months of breastfeeding performed better on a test of sustained attention. This suggests that docosahexaenoic acid intake during early infancy confers long-term benefits on specific aspects of neurodevelopment. In addition, provision of fish oil during pregnancy may reduce an infant’s sensitization to common food allergens and reduce the prevalence and severity of certain skin diseases in the first year of life. This effect may persist until adolescence with a reduction in prevalence and/or severity of eczema, hay fever and asthma. A 2014 Cochrane review found that, based on two large studies, fish oil supplements did not appear to be effective for maintenance of remission in Crohn’s disease. Fish oil is a commonly used dietary supplement, with sales in the U.S. alone reaching $976 million in 2009. Problems of quality have been identified in periodic tests by independent researchers of marketed supplements containing fish oil and other marine oils. These problems include contamination, inaccurate listing of EPA and DHA levels, spoilage and formulation issues. Fish can accumulate toxins such as mercury, dioxins, and polychlorinated biphenyls (PCBs), and spoiled fish oil may produce peroxides. There appears to be little risk of contamination by microorganisms, proteins, lysophospholipids, cholesterol, and trans-fats. Dioxins and PCBs may be carcinogenic at low levels of exposure over time. These substances are identified and measured in one of two categories, dioxin-like PCBs and total PCBs. While the U.S. FDA has not set a limit for PCBs in supplements, the Global Organization for EPA and DHA (GOED) has established a guideline allowing for no more than 3 picograms of dioxin-like PCBs per gram of fish oil. In 2012, samples from 35 fish oil supplements were tested for PCBs. Trace amounts of PCBs were found in all samples, and two samples exceeded the GOED‘s limit. Although trace amounts of PCBs contribute to overall PCB exposure, Consumerlab.com claims the amounts reported by tests it ordered on fish oil supplements are far below those found in a single typical serving of fish. Peroxides can be produced when fish oil spoils. A study commissioned by the government of Norway concluded there would be some health concern related to the regular consumption of oxidized (rancid) fish/marine oils, particularly in regards to the gastrointestinal tract, but there is not enough data to determine the risk. The amount of spoilage and contamination in a supplement depends on the raw materials and processes of extraction, refining, concentration, encapsulation, storage and transportation. ConsumerLab.com reports in its review that it found spoilage in test reports it ordered on some fish oil supplement products. According to ConsumerLab.com tests, the concentrations of EPA and DHA in supplements can vary from between 8 and 80% fish oil content. 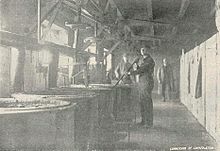 The concentration depends on the source of the omega-3s, how the oil is processed, and the amounts of other ingredients included in the supplement. A ConsumerLab.com publication in 2010 claims 3 of 24 fish oil supplements it covered contained less[quantify] EPA and/or DHA than was claimed on the label. However, the bioavailability of EPA and DHA from both capsular and emulsified fish oils has been shown to be high. Fish oil supplements are available as liquids or capsules. Some capsules are enteric-coated to pass through the stomach before dissolving in the small intestine, thus helping prevent indigestion and “fish burps”. Poorly manufactured enteric-coated products have the potential to release ingredients too early. ConsumerLab.com, a for-profit supplement testing company, reported that 1 of the 24 enteric-coated fish oil supplements it evaluated released ingredients prematurely. Fish oil preparations that are only available with a doctor’s prescription undergo the same FDA regulatory requirements as other prescription pharmaceuticals, with regard to both efficacy and safety. A 2013 review concluded that the potential for adverse events amongst older adults taking fish oil “appear mild–moderate at worst and are unlikely to be of clinical significance”. The FDA recommends that consumers do not exceed more than three grams per day of EPA and DHA combined, with no more than 2 grams from a dietary supplement. This is not the same as 3000 mg of fish oil. A 1000 mg pill typically has only 300 mg of omega-3; 10 such pills would equal 3000 mg of omega-3. According to the European Food Safety Authority‘s (EFSA) Panel on Dietetic Products, Nutrition and Allergies, supplementation of 5 grams of EPA and DHA combined does not pose a safety concern for adults. A 1987 study found that healthy Greenlandic Inuit had an average intake of 5.7 grams of omega-3 EPA per day which had many effects including prolonged bleeding times, i.e., slower blood clotting. 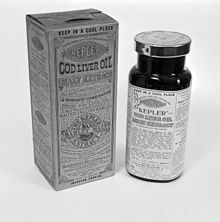 The liver and liver products (such as cod liver oil) of fish and many animals (such as seals and whales) contain omega-3, but also the active form of vitamin A. At high levels, this form of the vitamin can be dangerous (Hypervitaminosis A). Consumers of oily fish should be aware of the potential presence of heavy metals and fat-soluble pollutants like PCBs and dioxins, which are known to accumulate up the food chain. After extensive review, researchers from Harvard’s School of Public Health in the Journal of the American Medical Association (2006) reported that the benefits of fish intake generally far outweigh the potential risks. which required temporary withdrawal of these brands. To address the concern over contaminated fish oil supplements, the International Fish Oil Standards (IFOS) Program, a third-party testing and accreditation program for fish oil products, was created by Nutrasource Diagnostics Inc. in Guelph, Ontario, Canada. A March 2010 lawsuit filed by a California environmental group claimed that eight brands of fish oil supplements contained excessive levels of PCB’s, including CVS/pharmacy, Nature Made, Rite Aid, GNC, Solgar, Twinlab, Now Health, Omega Protein and Pharmavite. The majority of these products were either cod liver or shark liver oils. Those participating in the lawsuit claim that because the liver is the major filtering and detoxifying organ, PCB content may be higher in liver-based oils than in fish oil produced from the processing of whole fish. A report by the Harvard Medical School studied five popular brands of fish oil, including Nordic Ultimate, Kirkland and CVS. They found that the brands had “negligible amounts of mercury, suggesting either that mercury is removed during the manufacturing of purified fish oil or that the fish sources used in these commercial preparations are relatively mercury-free”. Microalgae oil is a vegetarian alternative to fish oil. Supplements produced from microalgae oil provide a balance of omega-3 fatty acids similar to fish oil, with a lower risk of pollutant exposure. ^ Moghadasian, Mohammed H. (2008). “Advances in Dietary Enrichment with N-3 Fatty Acids”. Critical Reviews in Food Science and Nutrition. 48 (5): 402–10. doi:10.1080/10408390701424303. PMID 18464030. ^ Cleland, Leslieg; James, Michaelj; Proudman, Susannam (2006). “Fish oil: What the prescriber needs to know”. Arthritis Research & Therapy. 8 (1): 679–81. doi:10.1186/ar1876. PMC 1526555. PMID 16542466. ^ a b Maki, KC; Dicklin, MR (4 July 2018). “Omega-3 Fatty Acid Supplementation and Cardiovascular Disease Risk: Glass Half Full or Time to Nail the Coffin Shut?”. Nutrients. 10 (7): 864. doi:10.3390/nu10070864. PMC 6073248. PMID 29973554. ^ Su, Kuan-Pin; Huang, Shih-Yi; Chiu, Chih-Chiang; Shen, Winston W. (2003). “Omega-3 fatty acids in major depressive disorder”. European Neuropsychopharmacology. 13 (4): 267–71. doi:10.1016/S0924-977X(03)00032-4. PMID 12888186. ^ Naliwaiko, K.; Araújo, R.L.F. ; Da Fonseca, R.V. ; Castilho, J.C.; Andreatini, R.; Bellissimo, M.I. ; Oliveira, B.H. ; Martins, E.F.; Curi, R.; Fernandes, L.C. ; Ferraz, A.C. (2004). “Effects of Fish Oil on the Central Nervous System: A New Potential Antidepressant?”. Nutritional Neuroscience. 7 (2): 91–99. doi:10.1080/10284150410001704525. PMID 15279495. ^ Green, Pnina; Hermesh, Haggai; Monselise, Assaf; Marom, Sofi; Presburger, Gadi; Weizman, Abraham (2006). “Red cell membrane omega-3 fatty acids are decreased in nondepressed patients with social anxiety disorder”. European Neuropsychopharmacology. 16 (2): 107–13. doi:10.1016/j.euroneuro.2005.07.005. PMID 16243493. ^ Yehuda, Shlomo; Rabinovitz, Sharon; Mostofsky, David I. (2005). “Mixture of essential fatty acids lowers test anxiety”. Nutritional Neuroscience. 8 (4): 265–67. doi:10.1080/10284150500445795. PMID 16491653. ^ Nemets, B.; Stahl, Z; Belmaker, RH (2002). “Addition of Omega-3 Fatty Acid to Maintenance Medication Treatment for Recurrent Unipolar Depressive Disorder”. American Journal of Psychiatry. 159 (3): 477–79. doi:10.1176/appi.ajp.159.3.477. PMID 11870016. ^ a b NIH Medline Plus (August 2015). “Omega-3 Supplements: In Depth”. Retrieved 13 October 2017. ^ EPA (31 January 2007). “Fish Consumption Advisories”. Retrieved 8 February 2007. ^ FAO: World Review of Fisheries and Aquaculture 2008: Highlights of Special Studies Rome. ^ a b Innis, Sheila M.; Rioux, France M.; Auestad, Nancy; Ackman, Robert G. (1995). “Marine and freshwater fish oil varying in arachidonic, eicosapentaenoic and docosahexaenoic acids differ in their effects on organ lipids and fatty acids in growing rats”. The Journal of Nutrition. 125 (9): 2286–93. doi:10.1093/jn/125.9.2286. PMID 7666244. Talakoub, Lily; Neuhaus, Isaac M.; Yu, Siegrid S. (2008). “Chapter 2: Cosmoceuticals”. In Alam, Murad; Gladstone, Hayes B.; Tung, Rebecca (eds.). Cosmetic Dermatology. Requisites in dermatology. Elsevier Health Sciences. p. 9. ISBN 9780702031434. Retrieved 23 October 2014. Other oils used as emollients include fish oil, petrolatum, shea butter, and sunflower seed oil. Burch, Ernest S. (2006). Social Life in Northwest Alaska: The Structure of Iñupiaq Eskimo Nations. University of Alaska Press. p. 278. ISBN 9781889963921. Retrieved 23 October 2014. Oil was also used externally as an ointment to heal cold sores, cuts, insect bites, frostbite, rashes – in short, skin problems of all kinds. Duck or goose body-cavity fat was apparently as useful as seal or fish oil in dealing with skin problems. Heartney, Eleanor (2007). “Zhang Huan: Becoming the Body”. Zhang Huan: Altered States. Charta and Asia Society. ISBN 978-8881586417. Retrieved 23 October 2014. This becomes abundantly clear in the work of Chinese body artist Zhang Huan. In the course of his career, Zhang Huan has subjected himself to painful trials: sitting motionless for hours in an outhouse covered in honey and fish oil while flies crawled over his body […]. Falk-Petersen, S.; Sargent, J. R.; Henderson, J.; Hegseth, E. N.; Hop, H.; Okolodkov, Y. B. (1998). “Lipids and fatty acids in ice algae and phytoplankton from the Marginal Ice Zone in the Barents Sea”. Polar Biology. 20 (1): 41–47. doi:10.1007/s003000050274. INIST:2356641. “Fish, Levels of Mercury and Omega-3 Fatty Acids”. American Heart Association. Retrieved 6 October 2010. ^ Kris-Etherton, Penny M.; William S. Harris, Lawrence J. Appel (2002). “Fish Consumption, Fish Oil, Omega-3 Fatty Acids, and Cardiovascular Disease”. Circulation. 106 (21): 2747–57. doi:10.1161/01.CIR.0000038493.65177.94. PMID 12438303. ^ a b “Omega-3 Centre”. Omega-3 sources. Omega-3 Centre. Archived from the original on 18 July 2008. Retrieved 27 July 2008. ^ “Re: 2010 Dietary Guidelines for Americans” (PDF). Jan 2009. American Heart Association. ^ “2004 – FDA Announces Qualified Health Claims for Omega-3 Fatty Acids”. www.fda.gov. Retrieved 25 May 2016. ^ Heinze, VM; Actis, AB (February 2012). “Dietary conjugated linoleic acid and long-chain n-3 fatty acids in mammary and prostate cancer protection: a review”. International Journal of Food Sciences and Nutrition. 63 (1): 66–78. doi:10.3109/09637486.2011.598849. PMID 21762028. ^ Crowe, Francesca L.; Appleby, Paul N.; Travis, Ruth C.; Barnett, Matt; Brasky, Theodore M.; Bueno-de-Mesquita, H. Bas; Chajes, Veronique; Chavarro, Jorge E.; Chirlaque, Maria-Dolores (1 September 2014). “Circulating fatty acids and prostate cancer risk: individual participant meta-analysis of prospective studies”. Journal of the National Cancer Institute. 106 (9): dju240. doi:10.1093/jnci/dju240. ISSN 1460-2105. PMC 4188122. PMID 25210201. ^ Chua, Michael E.; Sio, Maria Christina D.; Sorongon, Mishell C.; Morales Jr, Marcelino L. Jr. (May – June 2013). “The relevance of serum levels of long chain omega-3 polyunsaturated fatty acids and prostate cancer risk: a meta-analysis”. Canadian Urological Association Journal. 7 (5–6): E333–43. doi:10.5489/cuaj.1056. PMC 3668400. PMID 23766835. ^ Brasky TM, Darke AK, Song X, et al. (August 2013). “Plasma phospholipid fatty acids and prostate cancer risk in the SELECT trial”. J. Natl. Cancer Inst. 105 (15): 1132–41. doi:10.1093/jnci/djt174. PMC 3735464. PMID 23843441. ^ Abdelhamid, AS; Brown, TJ; Brainard, JS; Biswas, P; Thorpe, GC; Moore, HJ; Deane, KH; AlAbdulghafoor, FK; Summerbell, CD; Worthington, HV; Song, F; Hooper, L (18 July 2018). “Omega-3 fatty acids for the primary and secondary prevention of cardiovascular disease”. The Cochrane Database of Systematic Reviews. 7: CD003177. doi:10.1002/14651858.CD003177.pub3. PMID 30019766. ^ Abdelhamid, AS; Martin, N; Bridges, C; Brainard, JS; Wang, X; Brown, TJ; Hanson, S; Jimoh, OF; Ajabnoor, SM; Deane, KH; Song, F; Hooper, L (18 July 2018). “Polyunsaturated fatty acids for the primary and secondary prevention of cardiovascular disease”. The Cochrane Database of Systematic Reviews. 7: CD012345. doi:10.1002/14651858.CD012345.pub2. PMID 30019767. ^ Goel, A; Pothineni, NV; Singhal, M; Paydak, H; Saldeen, T; Mehta, JL (22 November 2018). “Fish, Fish Oils and Cardioprotection: Promise or Fish Tale?”. International Journal of Molecular Sciences. 19 (12): 3703. doi:10.3390/ijms19123703. PMC 6321588. PMID 30469489. ^ John M. Eisenberg Center for Clinical Decisions Communications Science (2007). “Omega-3 Fatty Acids and Cardiovascular Disease: Current State of the Evidence”. PMID 30763028. ^ “Fish and Omega-3 Fatty Acids”. American Heart Association. Retrieved 9 February 2007. ^ Charnock John S (1999). “The role of omega-3 polyunsaturated fatty acid-enriched diets in the prevention of ventricular fibrillation” (PDF). Asia Pacific Journal of Clinical Nutrition. 8 (3): 226–30. doi:10.1046/j.1440-6047.1999.00115.x. PMID 24394167. ^ Li GR, Sun HY, Zhang XH, Cheng LC, Chiu SW, Tse HF, Lau CP (2009). “Omega-3 polyunsaturated fatty acids inhibit transient outward and ultra-rapid delayed rectifier K+currents and Na+current in human atrial myocytes”. Cardiovasc Res. 81 (2): 286–93. doi:10.1093/cvr/cvn322. PMID 19029136. ^ Khawaja, Owais; Gaziano, J. Michael; Djoussé, Luc (1 February 2012). “A meta-analysis of omega-3 fatty acids and incidence of atrial fibrillation”. Journal of the American College of Nutrition. 31 (1): 4–13. doi:10.1080/07315724.2012.10720003. ISSN 1541-1087. PMID 22661621. ^ Nair, G. M.; Connolly, S. J. (2008). “Should patients with cardiovascular disease take fish oil?”. Canadian Medical Association Journal. 178 (2): 181–82. doi:10.1503/cmaj.071654. PMC 2174997. PMID 18195293. ^ Rizos, E. C.; Ntzani, E. E.; Bika, E; Kostapanos, MS; Elisaf, MS (2012). “Association Between Omega-3 Fatty Acid Supplementation and Risk of Major Cardiovascular Disease Events: A Systematic Review and Meta-analysis”. Journal of the American Medical Association. 308 (10): 1024–33. doi:10.1001/2012.jama.11374. PMID 22968891. ^ “Omega-3 fatty acids, fish oil, alpha-linolenic acid”. Retrieved 4 February 2014. ^ Montgomery P, Richardson AJ (2008). Montgomery, Paul (ed.). “Omega-3 fatty acids for bipolar disorder”. Cochrane Database of Systematic Reviews (2): CD005169. doi:10.1002/14651858.CD005169.pub2. PMID 18425912. ^ Martins, Julian G (2009). “EPA but Not DHA Appears to Be Responsible for the Efficacy of Omega-3 Long Chain Polyunsaturated Fatty Acid Supplementation in Depression: Evidence from a Meta-Analysis of Randomized Controlled Trials”. Journal of the American College of Nutrition. 28 (5): 525–42. doi:10.1080/07315724.2009.10719785. PMID 20439549. ^ Bloch, M H; Hannestad, J (2011). “Omega-3 fatty acids for the treatment of depression: Systematic review and meta-analysis”. Molecular Psychiatry. 17 (12): 1272–82. doi:10.1038/mp.2011.100. PMC 3625950. PMID 21931319. ^ Grosso, G.; Pajak, A.; Marventano, S.; Castellano, S.; Galvano, F.; Bucolo, C.; Caraci, F. (2014). “Role of Omega-3 Fatty Acids in the Treatment of Depressive Disorders: A Comprehensive Meta-Analysis of Randomized Clinical Trials”. PLoS ONE. 9 (5): e96905. Bibcode:2014PLoSO…996905G. doi:10.1371/journal.pone.0096905. PMC 4013121. PMID 24805797. ^ Sifferlin, Alexandra (13 June 2012). “Fish Oil Fail: Omega-3s May Not Protect Brain Health After All”. Time. Retrieved 19 June 2012. ^ Wolters, M. (2005). “Diet and psoriasis: experimental data and clinical evidence”. British Journal of Dermatology. 153 (4): 706–14. doi:10.1111/j.1365-2133.2005.06781.x. PMID 16181450. ^ a b Jensen, Craig L.; Voigt, Robert G.; Llorente, Antolin M.; Peters, Sarika U.; Prager, Thomas C.; Zou, Yali L.; Rozelle, Judith C.; Turcich, Marie R.; Fraley, J. Kennard; Anderson, Robert E.; Heird, William C. (2010). “Effects of Early Maternal Docosahexaenoic Acid Intake on Neuropsychological Status and Visual Acuity at Five Years of Age of Breast-Fed Term Infants”. The Journal of Pediatrics. 157 (6): 900–05. doi:10.1016/j.jpeds.2010.06.006. PMID 20655543. ^ Calder, Philip C.; Kremmyda, Lefkothea-Stella; Vlachava, Maria; Noakes, Paul S.; Miles, Elizabeth A. (2010). “Is there a role for fatty acids in early life programming of the immune system?”. Proceedings of the Nutrition Society. 69 (3): 373–80. doi:10.1017/S0029665110001552. PMID 20462467. ^ Lev-Tzion, R; Griffiths, AM; Leder, O; Turner, D (28 February 2014). “Omega 3 fatty acids (fish oil) for maintenance of remission in Crohn’s disease”. The Cochrane Database of Systematic Reviews. 2 (2): CD006320. doi:10.1002/14651858.CD006320.pub4. PMID 24585498. ^ Reviews of Supplements and Health Products ConsumerLab. ^ Schecter, A.; Cramer, P.; Boggess, K.; Stanley, J.; Olson, J. R. (1 April 1997). “Levels of dioxins, dibenzofurans, PCB and DDE congeners in pooled food samples collected in 1995 at supermarkets across the United States”. Chemosphere. 34 (5–7): 1437–47. Bibcode:1997Chmsp..34.1437S. doi:10.1016/s0045-6535(97)00440-2. ISSN 0045-6535. PMID 9134677. ^ Raatz, SK; Redmon, JB; Wimmergren, N; Donadio, JV; Bibus, DM (2009). “Enhanced absorption of omega-3 fatty acids after emulsified compared with encapsulated fish oil”. Journal of the American Dietetic Association. 109 (6): 1076–81. doi:10.1016/j.jada.2009.03.006. PMC 2701654. PMID 19465191. ^ Bays H E (19 March 2007). “Safety Considerations with Omega-3 Fatty Acid Therapy”. The American Journal of Cardiology. 99 (6 (Supplement 1)): S35–S43. doi:10.1016/j.amjcard.2006.11.020. PMID 17368277. ^ Villani, Anthony M; Crotty, Maria; Cleland, Leslie G; James, Michael J; Fraser, Robert J; Cobiac, Lynne; Miller, Michelle D (2013). “Fish oil administration in older adults: Is there potential for adverse events? A systematic review of the literature”. BMC Geriatrics. 13 (1): 41. doi:10.1186/1471-2318-13-41. PMC 3664575. PMID 23634646. ^ “FDA Announces Qualified Health Claims for Omega-3 Fatty Acids”. 8 September 2004. Archived from the original on 22 July 2009. Retrieved 21 August 2017. ^ “Scientific Opinion on the Tolerable Upper Intake Level of eicosapentaenoic acid (EPA), docosahexaenoic acid (DHA) and docosapentaenoic acid (DPA)”. EFSA Journal. 10 (7). 2012. doi:10.2903/j.efsa.2012.2815. Retrieved 14 September 2014. ^ Kantha, SS (1987). “Dietary effects of fish oils on human health: A review of recent studies”. The Yale Journal of Biology and Medicine. 60 (1): 37–44. PMC 2590235. PMID 3551346. ^ Lips, Paul (2003). “Hypervitaminosis a and Fractures”. New England Journal of Medicine. 348 (4): 347–49. doi:10.1056/NEJMe020167. PMID 12540650. ^ Jess Halliday (13 April 2006). “Dioxins prompt second UK fish oil withdrawal”. Retrieved 8 February 2007. ^ “Pollutants found in fish oil capsules”. BBC News. 6 April 2002. Retrieved 8 February 2007. ^ International Fish Oil Standards. ^ Elisabeth Leamy (3 March 2010). “Lawsuit Raises Fish Oil Supplement Concerns”. Retrieved 5 March 2010. ^ “Lawsuit says fish oil supplements contain PCB”, San Francisco Chronicle, 3 March 2010. ^ Brustad, Magritt; Sandanger, Torkjel Manning; Andersen, Vegard; Lund, Eiliv (2007). “POP exposure from fish liver consumption and risk of cancer?the Norwegian Women and Cancer Study”. Journal of Environmental Monitoring. 9 (7): 682–6. doi:10.1039/B706302B. PMID 17607388. ^ Foran, Stacy E.; Flood, James G.; Lewandrowski, Kent B. (2003). “Measurement of Mercury Levels in Concentrated Over-the-Counter Fish Oil Preparations: Is Fish Oil Healthier Than Fish?”. Archives of Pathology & Laboratory Medicine. 127 (12): 1603–05. doi:10.1043/1543-2165(2003)127<1603:MOMLIC>2.0.CO;2 (inactive 12 March 2019). PMID 14632570. ^ Doughman, Scott D.; Krupanidhi, Srirama; Sanjeevi, Carani B. (2007). “Omega-3 Fatty Acids for Nutrition and Medicine: Considering Microalgae Oil as a Vegetarian Source of EPA and DHA”. Current Diabetes Reviews. 3 (3): 198–203. doi:10.2174/157339907781368968. PMID 18220672. FAO (1986) The production of fish meal and oil FAO Fishery Technical Paper 142. ISBN 92-5-102464-2.
International Fish Oil Standards — An organization concerned with the quality of omega-3 products as it relates to the international standards established by the World Health Organization and the Council For Responsible Nutrition for purity and concentration. Joyce A. Nettleton, ed. “PUFA Newsletter”. Retrieved 20 February 2006. CS1 maint: Extra text: authors list (link) Two newsletters, both quarterly, reviewing recent publications in essential fatty acids. One is written for researchers, the second is for consumers. Industry sponsored, academic contributors. Omega-3 Fatty Acids American Cancer Society. Updated 11 January 2008.